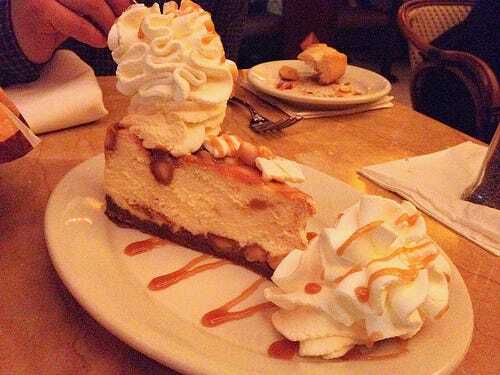 The Cheesecake Factory is rolling out a new computer system to make sure its customers are happier with its famed desserts.The global cheesecake company is pairing up with IBM Big Data analytics to better track information on the quality of its 200-plus ingredients from the time they are shipped to their arrival on store shelves. The information will be consolidated into one system so the company can better monitor data on the freshness of its food from Dallas to Dubai. So what does that mean for cheesecake fans? For one, products that aren’t up to snuff will be taken off shelves faster, said Angela Nardone, Chief Innovation Officer of IBM Business Partner, N2N Global. That includes anything from ketchup that isn’t the right colour or consistency to a retail product slapped with the wrong label. For a company that has 180 locations and serves 80 million customers a year, getting sub-par ingredients out of the supply chain with speed is key, she said. Better analytics could also help The Cheesecake Factory incorporate more local ingredients into its products, since their quality can be tracked more efficiently, Nardone said. In time, the company also plans to monitor social media outlets more heavily to improve product quality, said Paul Chang, IBM’s Global Leader for Consumer Products Strategy. For example, if a customer posts a photo of a mediocre meal at the restaurant on Instagram, it could be fixed faster.